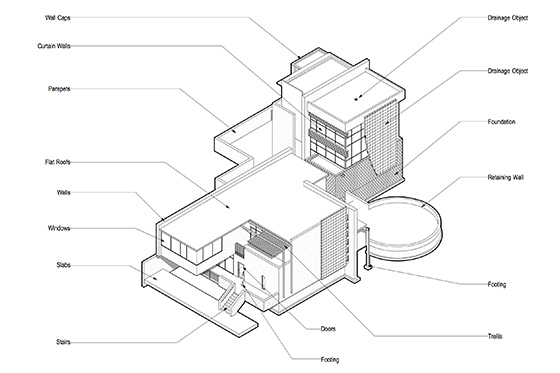 Architectural design is not one-size-fits-all, so BIM workflows shouldn’t be, either. That’s why Vectorworks Architect, one of the industry’s top BIM software programs, is built around an architect’s design process. Vectorworks software’s design-oriented BIM capabilities allow you to conceptualize your ideas, as well as edit and analyze your project, while simultaneously generating drawings and schedules and refining construction details — all without altering your creative process or exceeding the scope of your work. By exploring the resources below, you can learn more about what BIM can mean in your firm, discover how to go about adapting it to your preferred processes, and see examples of architects and designers like you who are already finding success and growing their businesses with BIM. Whether you’ve been experimenting with BIM for some time or you’re just getting started, we can help you define and refine what BIM means to you and your firm. Check out the resources below to learn more about what BIM means in practice, how it can revolutionize the way you create your documentation, and how BIM opens up a world of possibilities when it comes to collaborating with other architects, consultants, and anyone involved in your design process. You can also discover the ways that Vectorworks is partnering with other leaders in the AEC industry to improve BIM’s return on investment by enabling tailor-made design workflows that fit any firm and project. What’s Up with BIM, Anyway? Here at Vectorworks we understand that BIM isn't just about the paperwork; it’s a platform for elevating your creative expression. 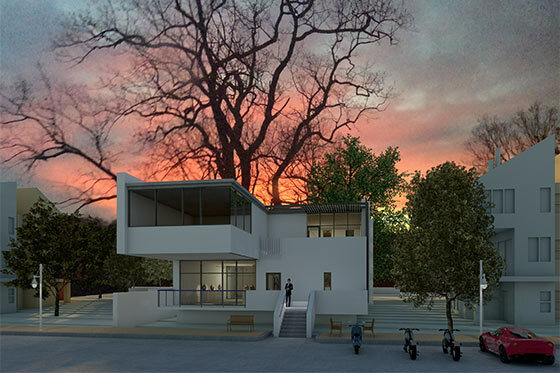 Vectorworks software fosters the connection between conceptual design and BIM processes by providing you with a tool that brings data into the early phases of design, letting you make decisions based on not only visual representations, but also on data-rich form. We’re always working to push the envelope on how great design can manifest within a BIM workflow. Learn how all of this is possible from two renowned architects as they discuss their philosophies about BIM and the building arts. What Does BIM Mean for My Firm? Good question! BIM is not a hard-and-fast set of rules for architects to follow. Rather, it’s a way to design with data instead of solely using geometry or 2D lines. That being said, BIM can and should be tailored to suit your needs, which is possible with Vectorworks software. Download the “Strategic Guide for Adopting BIM” to assess your organization’s workflows and develop a successful plan to transition to BIM, as well as help your firm set actionable BIM adoption goals and outline the skills needed to succeed. BIM is a firmly established part of the architecture industry and it's here to stay - are you? Adopting BIM processes is undeniably profitable in terms of both your workflow and the success of your business, but making the initial investment in tools and training can seem daunting. 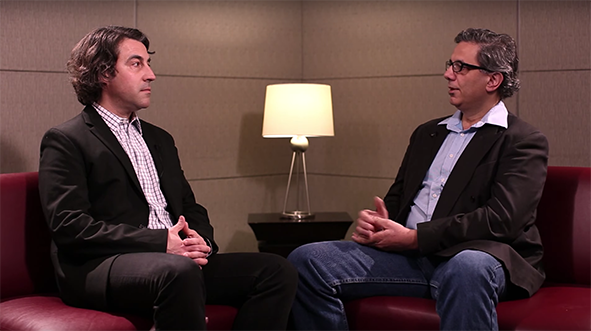 François Lévy, AIA, author and partner of Lévy Kohlhass Architecture, and Rob Glisson, AIA, founder and principal of ROJO Architecture, showcase their personal journeys to BIM Success in small- and medium-sized firms. For a deeper knowledge of ideal BIM tools and workflows, as well as a strong business case for BIM adoption, download the article. OpenBIM® is a universal and non-proprietary approach to the collaborative design, realization, and operation of buildings based on buildingSMART International open standards. These standards include the buildingSMART Data Model, Industry Foundation Classes (IFC), the communication standard, BIM Collaboration Format (BCF), and the information exchange standard, Model View Definition (MVD), among others. IFC Certification is a technical certification system, maintained by buildingSMART International, to help AEC software vendors improve, test, and certify their data connections to work seamlessly with other solutions supporting the openBIM file standard, IFC2X3. What is the openBIM™ Program? The OPEN BIM™ Program is a marketing campaign initiated by GRAPHISOFT®, Tekla®, and others to encourage and facilitate the globally coordinated promotion of the openBIM concept throughout the AEC industry, with aligned communication and common branding available to program participants. 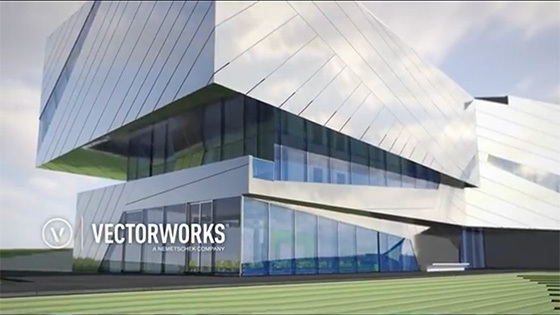 Vectorworks Architect is a purpose-driven product for architects, but since BIM creates multiple avenues for collaboration across industries and disciplines, we understand that you need a software solution that never limits your workflows. That’s why we’re dedicated to forging partnerships with leading companies throughout the AEC market to ensure that you’re always empowered to customize your design process to fit your needs. To learn more about how you can personalize your design process with Vectorworks software, head over to our Industry Partners page. 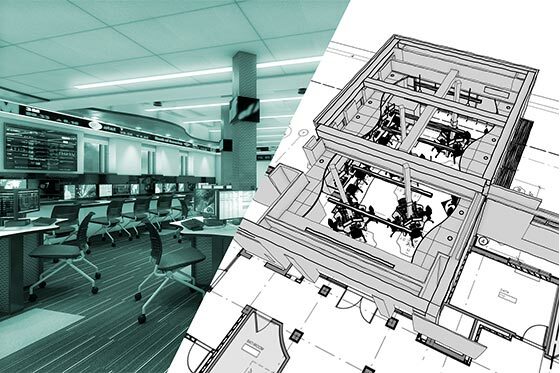 When it comes to adopting BIM workflows, some software programs force you to abandon or recreate your personal design process, leaving you with a steep learning curve and an inefficient workflow. Vectorworks Architect allows you to transition to BIM in a meaningful and manageable way because it’s built around an architect’s design process. This means you and your team can remain productive while experiencing the positive impacts of information modeling throughout your transition to a BIM workflow. To help you get started, we’ve created the resources below, which provide you with everything from technical training and workflow documents to Industry Foundation Classes (IFC) guides and example files, all of which contain information that you can apply to your next design. And if you have any questions along the way, don’t hesitate to reach out to us by clicking on the “Schedule a Consultation” link, above. Our AEC industry specialists are here to help you find success as you discover your ideal BIM workflow. If you learn better from a person than a guidebook or a video, or if you just want the opportunity to ask questions and get personalized feedback, then explore our training options. Developed for beginners and advanced designers alike, we offer in-person and online courses that will fine-tune your BIM workflows and improve your processes. We also offer a number of comprehensive written workflow tutorials with example files that can be used to better understand how to utilize the tools and features in Vectorworks software to support your unique design process. Find your perfect training opportunity today. The BIM Implementation Checklist helps you access educational and training resources that are available by providing a comprehensive list of material to help transition to BIM with Vectorworks Architect. This tutorial outlines the interrelationships between levels, layers, and stories, as well as examines how to create and edit both walls styles and slab styles, which leads to greater change management in your building information model. This document outlines a recommended Vectorworks® workflow for creating demolition and phased construction plans. Project Sharing is a multi-user environment that streamlines project organization and management for project teams involving multiple collaborators. The .zip file contains a condensed version with a general FAQ. This document will help firms use Vectorworks resources effectively by describing the ins and outs of managing resources and creating office standards. 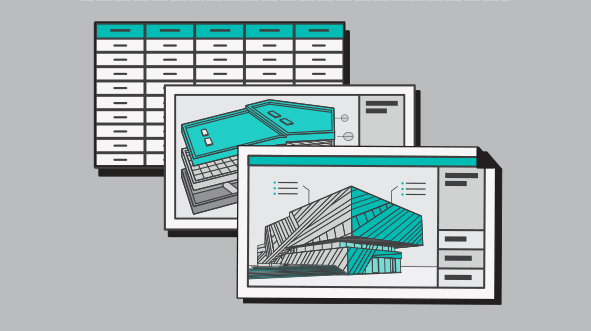 This tutorial will help you understand how to use the data visualization capabilities in Vectorworks software to help create viewport-based presentations where an object’s attributes can be controlled by the data. The Slab Drainage tool has the ability to create slabs with sloping components such as "flat" roofs, as well as the ability to place drains. This tutorial will help you design and create curtain wall styles. It will also cover how to utilize this tool to create standard storefronts. This tutorial will step through creating a "housekeeping" worksheet that can be used for quality control and assurance for data reporting such as Finish Schedules. This guide will cover the behavior of some default objects in order to help you understand the process of assigning and managing IFC data and the IFC export in Vectorworks Architect. What's the Deal with IFC? With Vectorworks software, you can collaborate with consultants using BIM tools different from your own by using the Industry Foundation Classes (IFC) file format. This means that by using Vectorworks Architect as your BIM tool, you are able to participate actively and easily with any BIM authoring tool that supports the openBIM file standard, meaning that your investment in Vectorworks software ensures your success on any project with any collaborator. 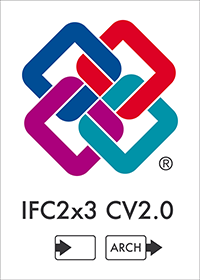 Vectorworks software currently supports IFC versions 2x2, 2x3 and 4, and has been certified by buildingSMART International for the export of models based on the IFC2x3 Coordination View 2.0 – Architecture model view definition, as well as the import of any IFC2x3 Coordination View 2.0 model. But what does all of that information mean to you? Learn the basics of IFC, as well as how to import and export your models with IFC using Vectorworks software, with this introductory guide. CAN MY FIRM DO BIM? Starting a BIM project from scratch can be a daunting prospect, so we’ve created a few sample projects of varying scope and scale for you to explore. Do you want to see how altering a BIM object effects a corresponding worksheet? Interested in how BIM can be used in small- or large-scale designs? 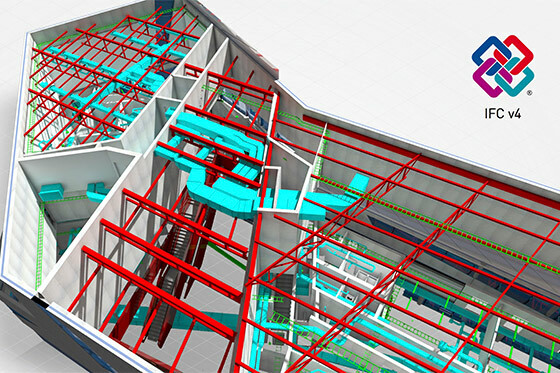 Check out the files below to see how BIM works in practice. Custom residential project located in western Maryland, this project highlights the use of Vectorworks Architect as an intelligent BIM modeling software that also produces high quality drawings and for data extraction. Available in Vectorworks Architect version 2019. An example of a mixed-use building sited in an urban context, this sample file highlights the use of Vectorworks Architect software for modeling a mid-rise building with a BIM workflow. Available in Vectorworks Architect version 2019. Inspired by a small, gallery project located in the mid-west of the United States. This project demonstrates the use of default and custom building objects to create a Building information Model from which all drawings and schedules can be generated. Available for Vectorworks Architect version 2018. A mixed use mid-rise building designed for the unique terrain and climate of Durango, CO. This project demonstrates the use of Vectorworks software for both site modeling and building design within the context of site. 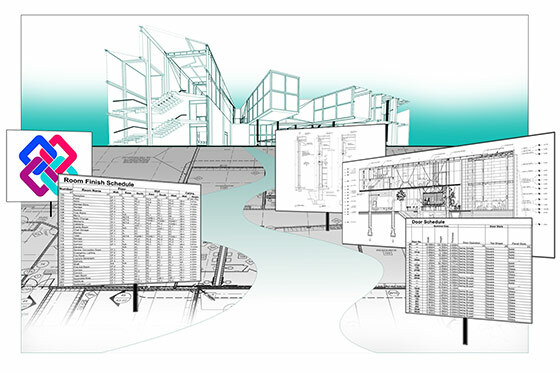 Building objects were used to generate a BIM model from which drawings and schedules are extracted. The download includes a site model file. Available in Vectorworks Architect version 2018. 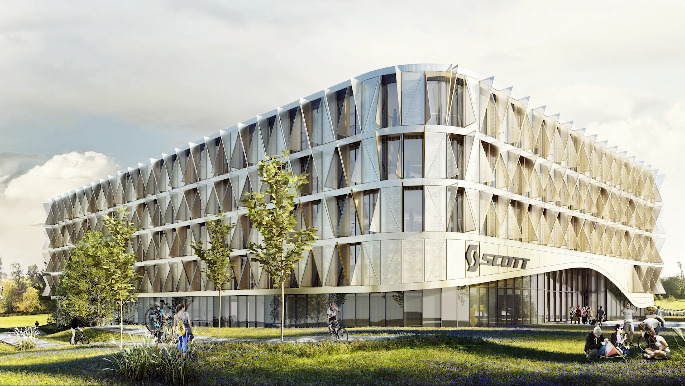 The team at Itten+Brechbühl AG discusses how successful implementation of a Big BIM process has transformed the way the firm approaches design — and solidified their name as a leading architecture firm in Switzerland. Step One: Where are you from?